Its hard to live far from home and when ever I feel down I make sure I cook one of Amma's recipe to keep my spirits high. Last week this was the same case I did fish curry and posted pics online and few of my friends requested for the recipe and here it is. This is a super simple, spicy and tangy curry. You can almost use any bigger variety fish for this curry, Amma usually makes this fish curry with King fish but I try to alternate it with what ever is available. Tamarind fish curry is filled with basic ingredients in anyone's pantry and it best when served with white rice and a veg stir-fry or with idly/dosa. This curry tastes great with medium-big variety fish and today I tried it with Tilapia and it was absolutely yummy. 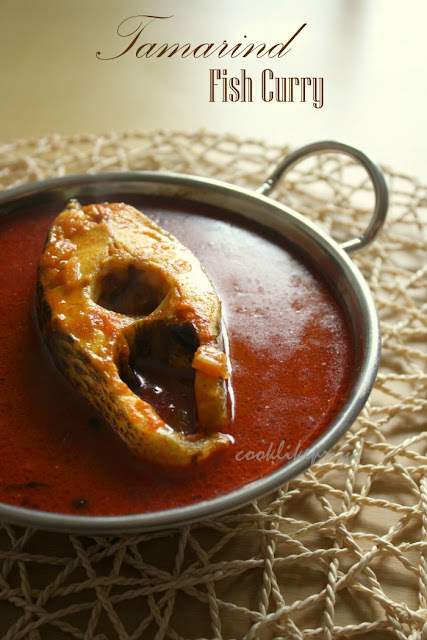 Usually South Indian style fish curry has tamarind in them for the spicy-tangy combination. And mind you this curry builds up flavor the next day, so do ahead and enjoy with rice for one super hit meal. Who said 'Diamonds are a girls best friend?' I say its 'Chocolates' :-)...You give me chocolates then I am all happy. So when Manju Nair from Manju's Eating Delights, asked me to do a guest post I simply knew something Chocolate. Manju is a good friend and a fellow blogger and we do exchange conversations and its really nice to find some good friends from blogsphere. 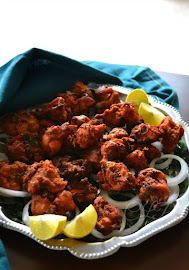 Thank you so much Manju for giving me this opportunity to cook for your blog and your readers. 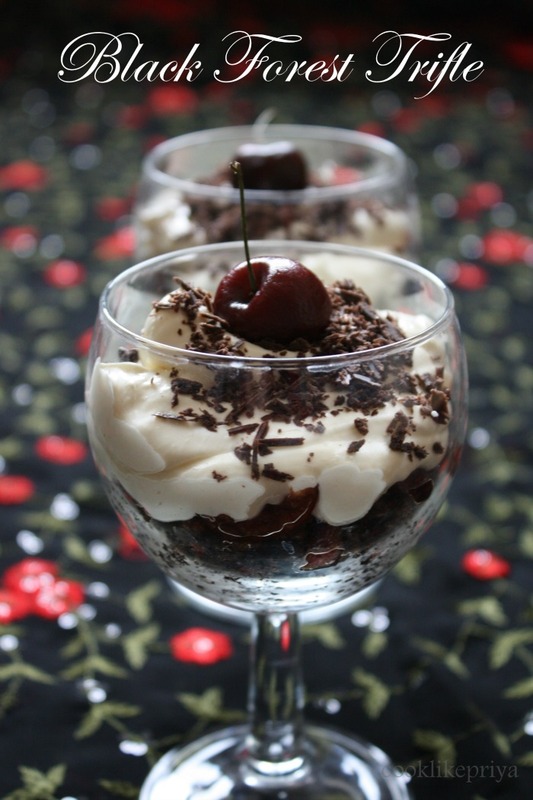 I simply loved doing this recipe for you. 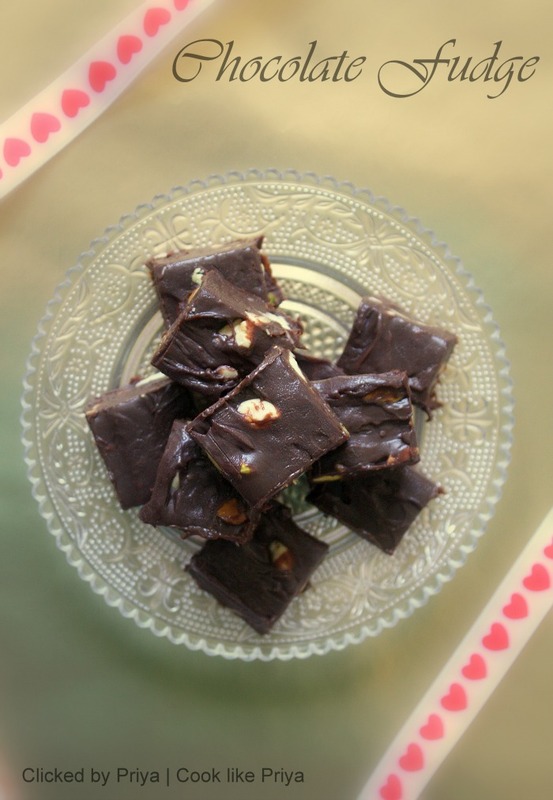 Its a simple melt in your mouth chocolaty fudge, that is totally delicious and nutty too. 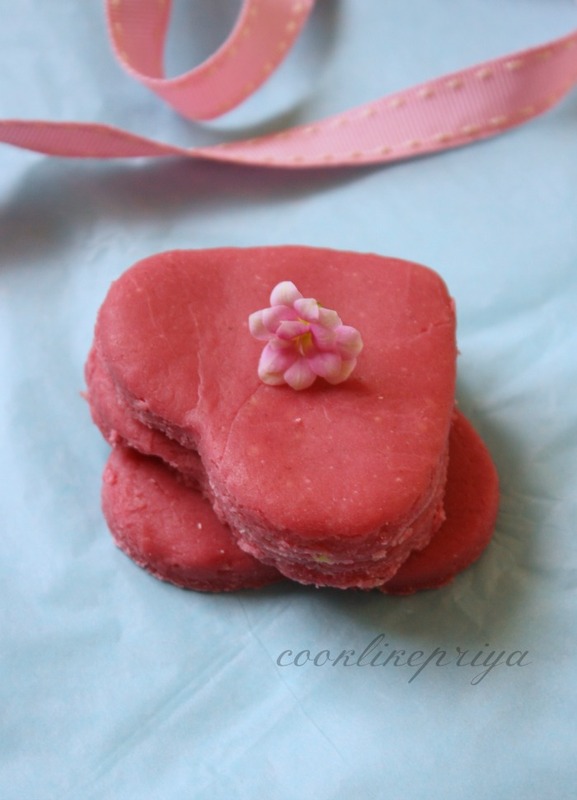 To view the recipe please hop into Manju's blog HERE. Being a South Indian you might ask me how come you make Kachoris at home :-) well yes of coarse :P as I am part of a monthly cooking group "South Vs North Challenge" (SNC) hosted by Divya Pramil ). This is a group of Indian cooks who are split into two groups Southen and Northern team based on the region they come from. So each month one member for the South and North team challenge the opposite teams with a traditional recipe. 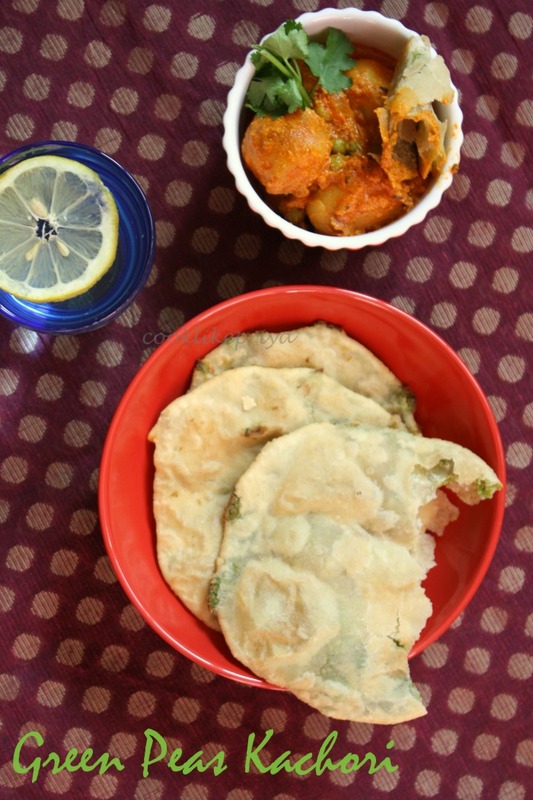 So for this month the Southern team that I am part of was challenged by Sanoli Ghosh didi (North Team) who writes Sanoli's Kitchen with this traditional Bengali favorite Green Peas Kachori with Spicy Dum Aloo. Verdict - Love the combination of kachori with dum aloo, a superb flavored combination. We both enjoyed it so much and plan to make to quite often. 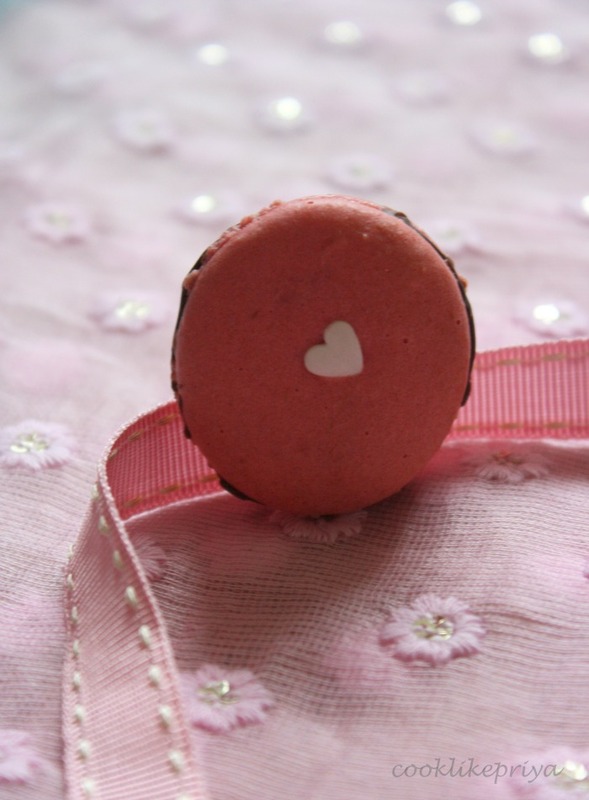 Every bakers' dream is to bake these cute little meringue like cookies called macaron. I first had seen then at a bakers' in London and they are pretty attractive with lovely vibrant colors to pastel shades with a filling in them. I was intrigued by it and had bought one, I loved it instantly. Although the price and sweetness were not something that fancied I still found them so different a chewy outer shell and a wet sweet filling. Later I found more of them in malls and patisseries who charge a bomb shell for these little coins. Although I can say I have not mastered it I did learn quite a lot. So much of insight, tips, tricks, trials, combinations and of course patience. Don't be fooled by their cuteness they are very addictive and also sugary to keep you hyperactive. Not to forget you might sit in watch of them in front on your oven too. Valentine's Day is special, don't tell me it isn't. Remember there used to be a time when we all would have thought "when am I going to have a Valentine??? ", I had been there done that... Back then it was more of who is this Mr. Right that is gonna sweep me off my feet. Love did strike me :-) and now I am happy to be with the man of my life. You might call this oh newly married if being married for 2 yrs does fall into that title, we are still happy and thankful for being together.
" Baby I love you and Happy Valentine's Day "
Last week as I was cleaning my refrigerator and guess what I found 6-7 ripe, pre-cooked beets. Ok you might ask me why did I get it, hmmm in the idea of having it one a day but somehow I kept skipping it. 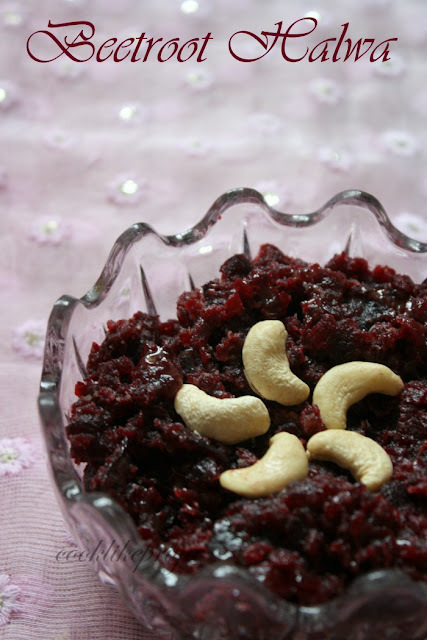 Well time had come for me to use up the beets and the first thing that popped in my mind was Beetroot Halwa and I did gets loads of suggestions from friends on what to do with them. So I am thinking of trying one recipe a week till I finish them up. Somehow this post seems to co-ordinate with Valentine's Day as it has a lovely dose of a gorgeous red color and being a dessert it sure ticks the cards. 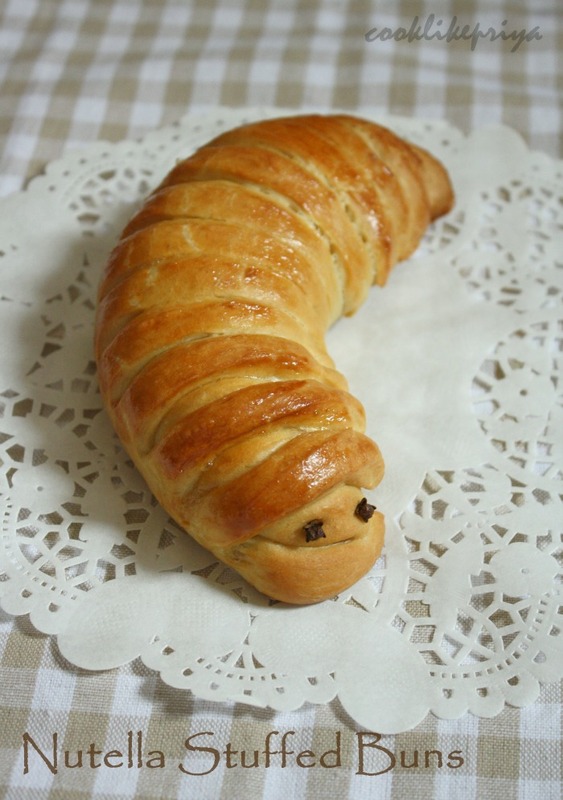 I tried to substitute sugar with jaggery, you can use sugar. 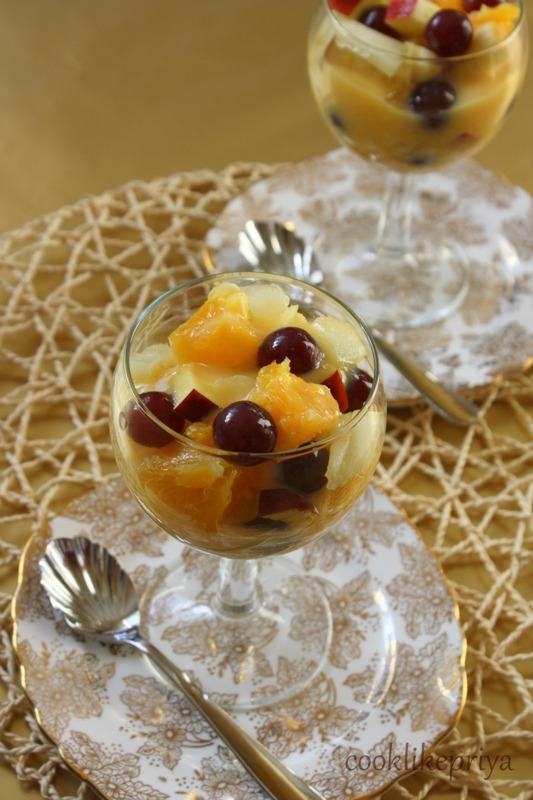 But this is great when chilled along with ice cream, yummers!!! you have to try it to know how good it is. 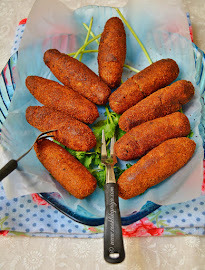 Didn't I tell you that Ragi(Finger Millet) is one thing that I am experimenting in my kitchen these days... Well some innovations can be big some may be basic, this is a basic kind where I have used ragi flour with the usual atta/ whole wheat flour to make chapathis. 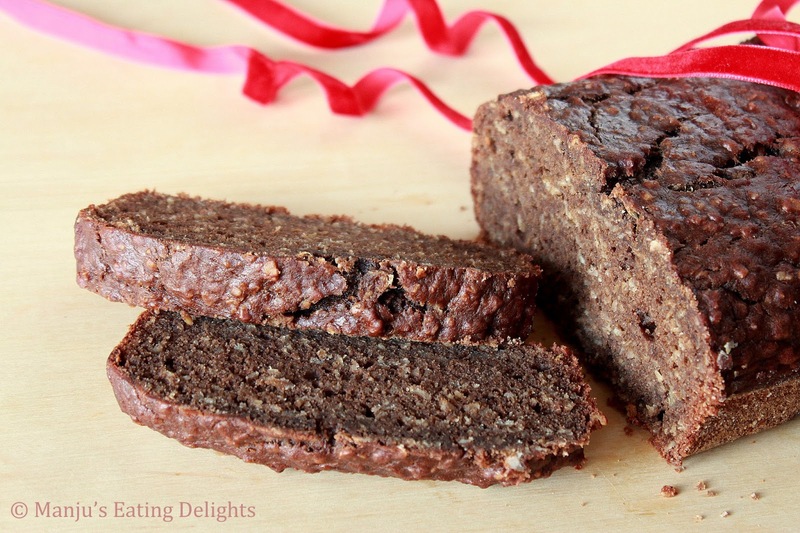 We hear so much about the goodness of ragi and at times we remain clueless what to do with it. Its an addition like this that can make the meal so fulfilling at the same time give us enough nutrients. I am sure its not that difficult to less the wheat flour and include ragi flour.. isn't it? So many of so called people on diet eat chapathi like just 2 and say they will be full. For me no way that does not work, but trust me just adding little ragi flour to your usual chapati can do the trick. Most dietitians say we need to have fiber along with our meals to help us reduce weight, now that means an extra veg / stir-fry required. 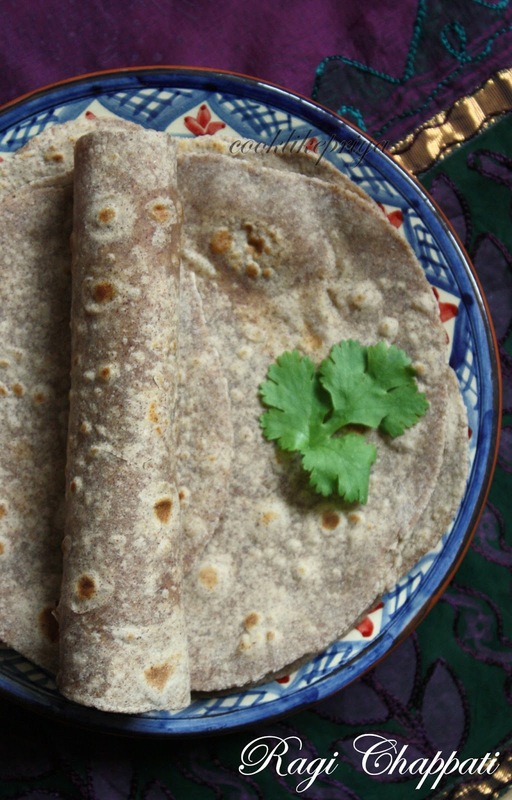 But don't you think adding little ragi flour to your chapathi mix can give you the additional fiber needed? 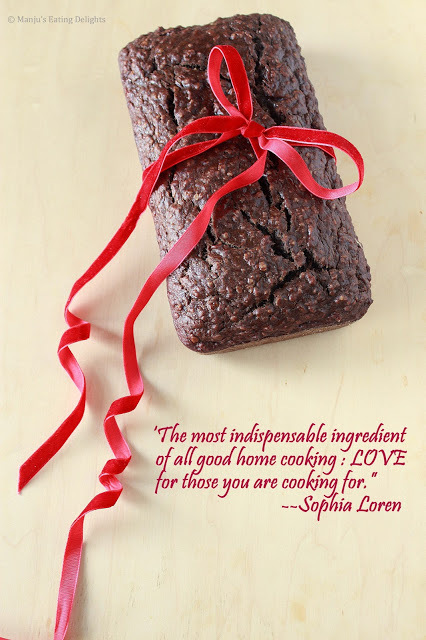 Ragi is totally something new to me and I simply picked it up as a challenge to try different recipes. Ragi or Finger Millet has a distinct taste and is widely used in Southern Indian and Ethiopian dishes. Ragi is a rich source of Calcium, Iron, Protein, Fiber and other minerals. The cereal has low fat content and contains mainly unsaturated fat. It is easy to digest and does not contain gluten; people who are sensitive to gluten can easily consume Finger Millet. 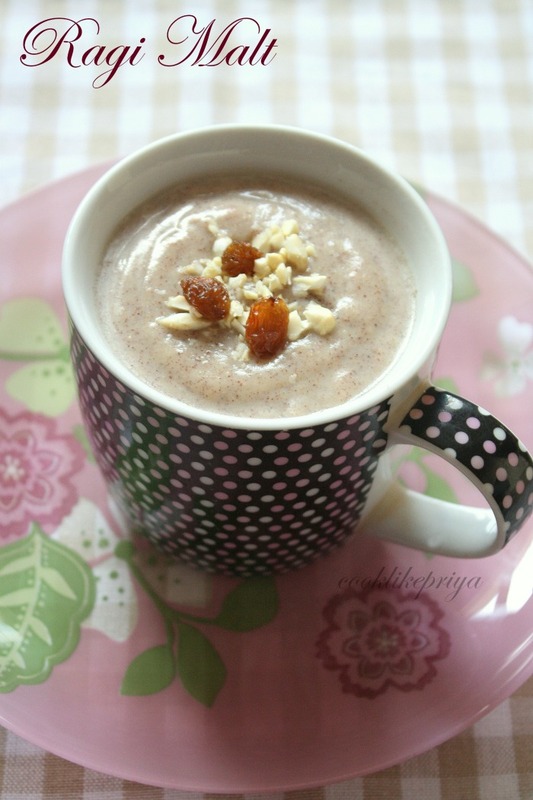 Ragi is considered one of the most nutritious cereals. It has different names in local languages. It is known as Ragi in Telugu and Kannada, Kelvaragu/aariyam in Tamil, and Madua/Mangal in Hindi. Today I wanted to share a simple breakfast porridge called Ragi Malt which is very popular in South India. 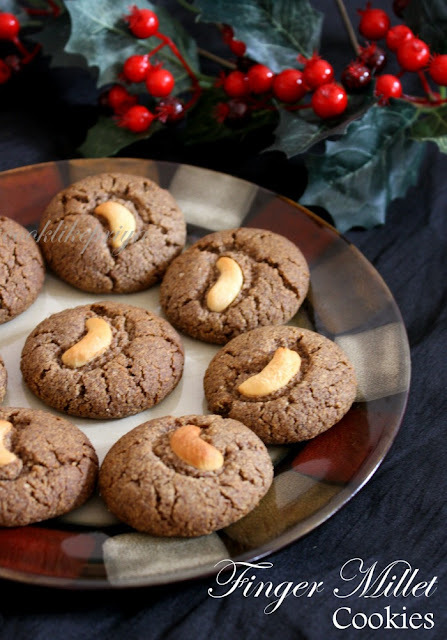 Usually its make with milk and sugar/jaggery and topped with nuts (optional). But as always I wanted to do a little twist included almond meal and it was yummers. For past 3-4 days I have been having this as a breakfast porridge and it totally makes me so full and I don't feel hungry for like 5-6 hrs straight. Trust me i dread oats and cereal I rather have Ragi, its so good, only if you try it will you know. 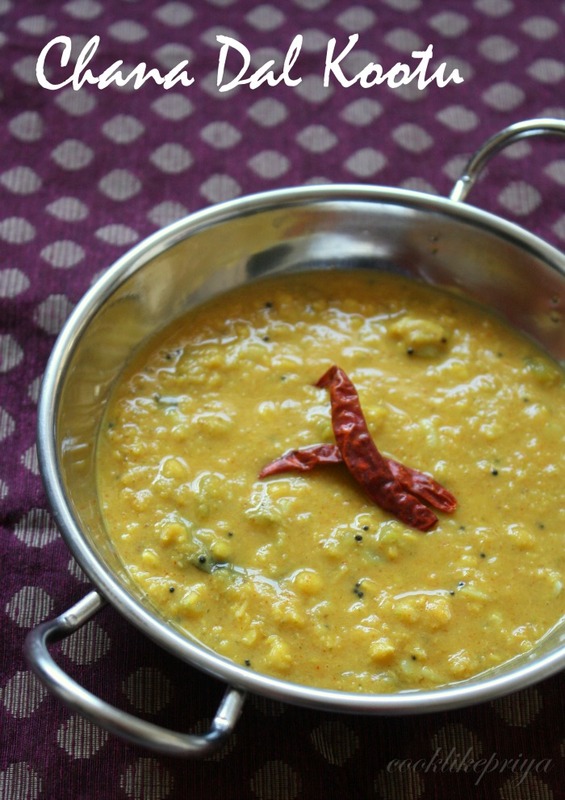 Chana Dal Kootu is one of my favorite dishes when it comes to veg. Amma used to make it in a more thick form along with kaara kozhambhu (Spicy Tamarind Curry). I had done this recipe only thrice at home, my husband never really loved it, so in order for him to like it (or you can say that I want to have it often) I altered the recipe a bit so that he will atleast have it. To my surprise he actually started to enjoy this recipe. 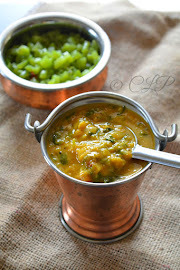 Kootu is basically a dal side / semi-gravy with vegetables like peerkangai (ridge gourd) or chow chow (chyote squash), along with coconut and chana dal. 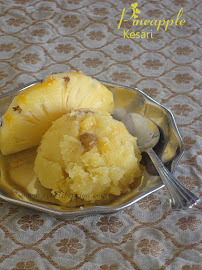 Its very unlike the usual dal preparations where we do not use coconut in them. Usually amma does the tadka with coconut oil for the burst of coconut flavor but I altered it with normal cooking oil and made it more like a curry. Nevertheless it does not lack in flavor and taste. 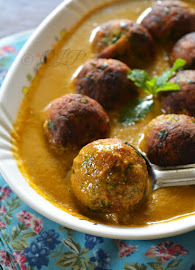 My way of serving this is with white rice and pappad~ a total comfort food indeed. Cooking for a friend is something I consider special, well this time around I had great fun preparing this guest post for Sireesha Puppala who write @ Siri's Food Flavors. The thing that got me intrigues about cooking for her is that she is a pure vegeterain and she requested me to do a Chicken recipe, now how can I say no??? 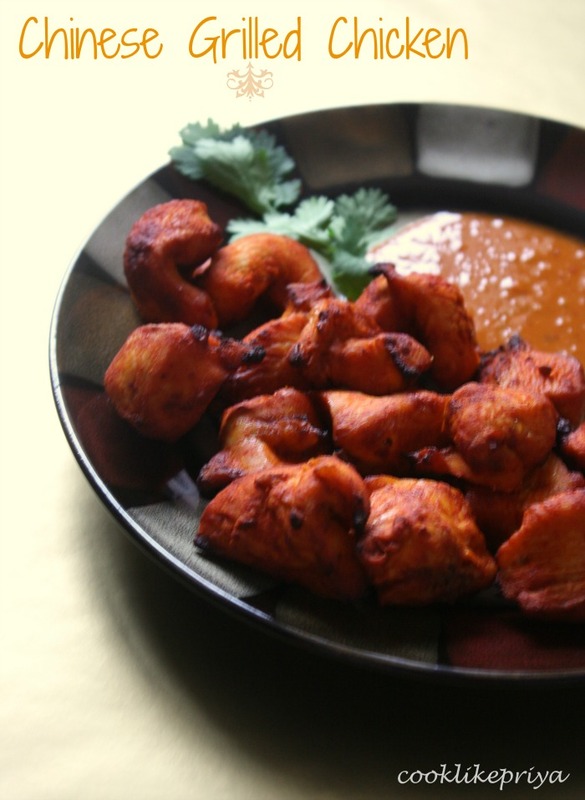 Siree (as I call her) hope you are happy with this Indo-Chinese Grilled Chicken. Life Love is all about the simple joys. Yes its February and its the month of love... The world waits for Valentine's day to talk about love and its no different and may be so predictable that I am even doing a post on the Love month... That said, Valentine's day to me started in school(Girls Convent)... really no jokes! in school we had friends giving Valentines cards to friends (yes yes girls to girls), in college its was more of red,green and yellow color dress coding like the traffic lights... later @ work it was any other boring day. Now its the time when I remember the love bird moments ;-). Yes yes... blushing as I write it. This is our 3'rd Valentines and we are going strong.